An unfathomable amount of modern pop culture can be credited to Stan Lee. Starting his career nearly 80 years ago, the Manhattan native revolutionized comic books. Before the 1960s, superheroes were largely written as mythological gods or whimsical children's characters. Starting with The Fantastic Four, Lee humanized the heroes he co-created with brilliant artists like Jack Kirby and Steve Ditko, making them relatable, flawed, personable, emotional. Spider-Man was a normal teenager with common high-school problem. Dr. Bruce Banner battled his inner demon — literally. The X-Men represented outcasts and minorities. His Marvel characters were relatable. Over the decades, Lee's role at Marvel grew from writer to editor-in-chief to publisher to chairman to chairman emeritus. Over the past ten years, Marvel has become arguably the biggest brand in Hollywood, and Lee had delighted fans with cameos in just about every blockbuster film. In 2018, the two biggest movies of the year globally, Avengers: Infinity War and Black Panther, largely centered around characters that sprang from his mind. But the Marvel media sensation truly began on television in the 1970s largely on the massive, green back of Lou Ferrigno on The Incredible Hulk. That smash series — along with The Amazing Spider-Man (1977–79), Dr. Strange (1978), the Japanese production Spider-Man (1978–79) and Captain America (1979) — demonstrated that this new American folklore could work in live-action. Of course, there were Saturday morning cartoons like The New Fantastic Four and Spider-Woman, too. Lee worked on The Incredible Hulk as a narrator and made an early cameo as a jury member in the TV movie The Trial of the Incredible Hulk. 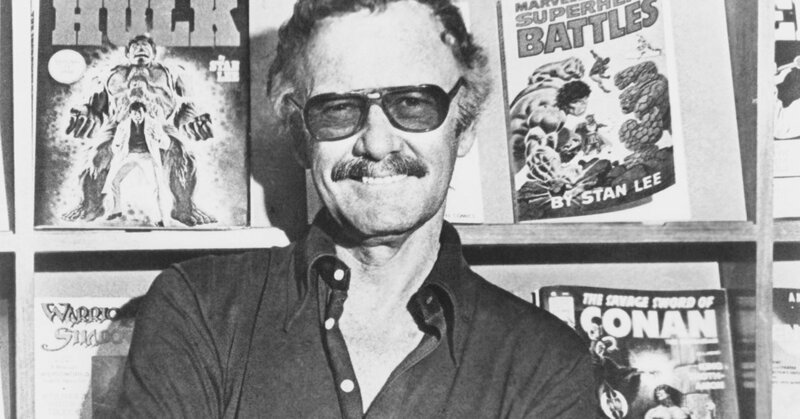 By 1981, Lee had moved from Marvel headquarters in New York City to Los Angeles, to develop more Marvel projects in Hollywood. He rose from humble beginnings in Washington Heights during the Great Depression and lived to see Marvel Entertainment sold to Disney for $4 billion in 2009. Early today, it was reported that Lee passed away. He was 95. As he would sign off in the pages of Marvel comics, "Excelsior!" Can you get through this quiz without making David Banner Hulk out?